Our Kwanzaa Word Search will help in the discussion of Kwanzaa with kids who celebrate and also stimulate discussions with others who want to know and understand the holiday. 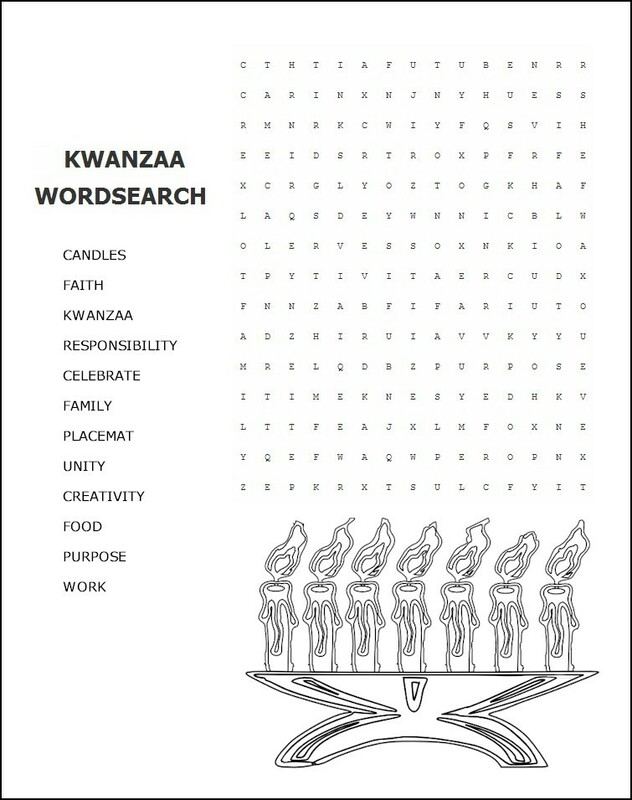 Click on the small pattern below and print out as many copies of the Kwanzaa Word Search as you need. Have the kids search out the Kwanzaa words as you explain how they are part of the celebration.